Access to data is critical for future energy planning. SEA has been undertaking State of Energy reports for more than a decade and these reports rely heavily on detailed, accurate and up-to-date energy data. While our experience has shown that data collection and accessibility has improved considerably within the large municipalities, several data issues still plague the sector. These issues are highlighted here. 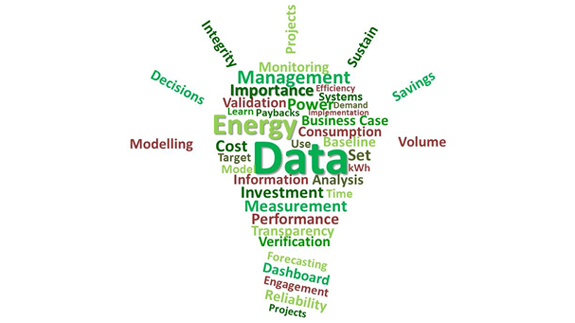 Internal municipal energy use data, as well as electricity sales data often does not reside in a readily-available and usable format; requiring extraction and collation every time the data is requested. Municipal officials often do not have the time or capacity to undertake this exercise, especially in the smaller municipalities. This problem is compounded when the data is requested from many different entities, e.g. NERSA (for tariff approval purposes), the national Department of Energy (for monitoring and verification of the Energy Efficiency and Demand-Side Management programme) and consultancies or internally (for the production of state of energy or energy strategy reports). A potential solution would be to systematise data collation and house the data with one department, which handles all data requests and queries. Municipal electricity sales data is captured according to sales by tariff. Ideally electricity sales should be assigned by sector (e.g. residential, industrial, commercial, local government, etc. ), but tariffs do not always align neatly with a given sector. For example, sales on a large power user tariff may be attributed to the industrial sector, but would also cover sales to large commercial customers such as malls. Sometimes electricity sales to the local government sector would be on the same tariff as sales to businesses, making it impossible to distinguish between municipal and commercial electricity use. Tariffs also vary widely across municipalities. Standardised tariffs that include a sector code for each customer would be ideal, but may be difficult and costly to implement. Eskom electricity sales data has historically been difficult to obtain. Customer confidentiality is a concern, especially where one large entity could be assumed to consume all Eskom sales in one area, e.g. Saldanha Steel in the West Coast Local Municipality. In cases where Eskom data has been made available, a non-disclosure agreement is required, as well as checks in order to verify that the way the data is reported is acceptable. Another issue is that Eskom sales data is recorded by technical service area, which does not always align with municipal boundaries. Liquid fuel sales data (e.g. petrol, diesel, LPG, heavy furnace oil, paraffin, aviation gas, jet fuel, etc.) used to be collected and housed by the South African Petroleum Industry of South Africa, but now sits with the national Department of Energy (DoE). Data access has improved over the years. At one point no liquid fuel data was published due to Competition Commission concerns. The data is now freely available on the DoE’s website. Unfortunately sales are recorded by magisterial district. These areas do not align with municipal boundaries. A work-around is to assign liquid fuel sales to municipal areas according to percentage area overlap, e.g. 60% of magisterial district X falls within municipality Y, therefore 60% of liquid fuel sales is assigned to municipality Y. This is an imprecise methodology, but the best available at the time. In some cases, knowledge of the area will help with assigning liquid fuel sales. For example, if there is an airport in municipality A, but none in municipality B and C; you would assign all jet fuel sales to municipality A, even if the magisterial district covered municipality A, B and C. Magisterial district boundaries have changed, sometimes drastically, over time as well; adding additional confusion. It is strongly recommended that liquid fuel sales be recorded according to municipal boundary in future and adjusted retrospectively for past data. The available liquid fuel sales data does not provide any information on the sector where the fuel is consumed. In the case of petrol, all of it can be assigned to the passenger transport sector, without too large a margin of error. Diesel, on the other hand, is tricky. It may be consumed by the passenger transport sector (cars), by the freight transport sector (trucks), by the commercial sector (back-up generators), by the energy generation sector (Eskom peak power plants) or the industrial sector (turbines). Liquid fuel sales can sometimes be obtained by trade category through the signing of a non-disclosure agreement. Trade categories may provide more information on where the fuel is consumed (e.g. diesel sales recorded under the “industrial” trade category will be assigned to the industrial sector), but they do have their limitations (e.g. the “general sales – garages” category, where fuel may be consumed by trucks or cars). It appears that not all liquid fuel sales are recorded or available. Marine fuels are not provided in the datasets available on DoE’s website (although they have been made available to some municipalities in the past, at special request). Jet fuel and aviation gas usage at some airports do not appear to be recorded, e.g. there is no recorded jet fuel or aviation gas recorded in any of the magisterial districts surrounding P.E., despite the presence of P.E. International Airport. Coal data is currently the most difficult data to obtain. The only coal data easily available is that provided in the DoE’s national energy balance figures on their website. Local-level data may be obtained either from municipal air quality departments or through interviews with major coal suppliers in the area of interest. It would be preferable to source coal data from municipal air quality departments, as this data is collected more consistently and may be obtained from one source. Unfortunately indications from cross-checks with sales estimates from large suppliers are that air quality data underestimates coal usage by a very large margin. Developing the picture of energy in South African cities has enabled not only strong local level planning to take place, but has also highlighted and raised the role of municipalities in the national energy picture. This has supported a far greater level of municipal input into national planning and policy. SEA, in partnership with the Energy Research Centre, University of Uganda Matyrs and the Institute for Social Science and Economic Research, University of Ghana, as part of the SAMSET project, are now undertaking the first detailed local level energy data collection for countries south of the Sahara. This exercise is pushing the frontier of local level energy data into new areas and will make visible, for the first time, the picture of energy in African cities.